Recognizing top leaders for their outstanding performance and educational excellence. Children of America®, one of the nation's largest high-quality educational childcare organizations, honored its top leadership teams with a two-day event April 5-6 in Trevose, PA. Over 200 company leaders were in attendance, to honor the companies very best in leadership and operational excellence. "At COA we provide children the best start in life for success in school and beyond," said Ted Hockenberry, CEO. "And we believe it’s important to honor and celebrate our leaders that make the biggest difference in delivering that experience. For COA that’s our team on the ground - the people on the frontline every day, working with the families we serve." The Founders Award was presented to Maureen Gioio, who has served the company embodying the Spirit of a Champion. The Shining Star Award was presented to Andrea Shield - Director, Clementon, NJ, Kate Leon - Director, St. Charles, IL and Crystal Bruce - Director, Bowie, MD for those brightest STARS who shine for the benefit of others. The COA Teacher of the Year Award for those who inspire others, was presented to Hayly Fortunato. 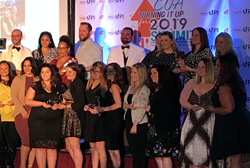 The Bentley Award COA’s Highest Honor for Exceptional Leadership & Performance in Educational Childcare was awarded to Christina Polidoro - Director from our Sewell, NJ., location. All recipients were presented with beautiful glass sculptures and received financial remuneration for their accomplishments. Congratulations to all of our nominees and award winners. Children of America operates facilities throughout Delaware, Illinois, Indiana, Maryland, Massachusetts, New Jersey, New York, North Carolina, Ohio, Pennsylvania, Virginia and Wisconsin. The company expansion plans include several locations in the NY and NJ areas over the next year. COA offers the highest level of care for children ages six weeks to twelve years of age. The premier programs include infant care, toddler care, nationally renowned preschool and pre-kindergarten programs, before-and-after school care, and summer camp. 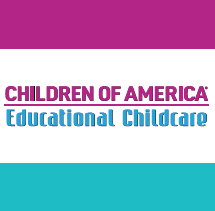 An industry pioneer, Children of America is a subsidiary of World Wide Child Care Corp. Visit childrenofamerica.com for more information or interact with COA on Instagram and Facebook. For more information about COA centers and programs, please visit childrenofamerica.com.